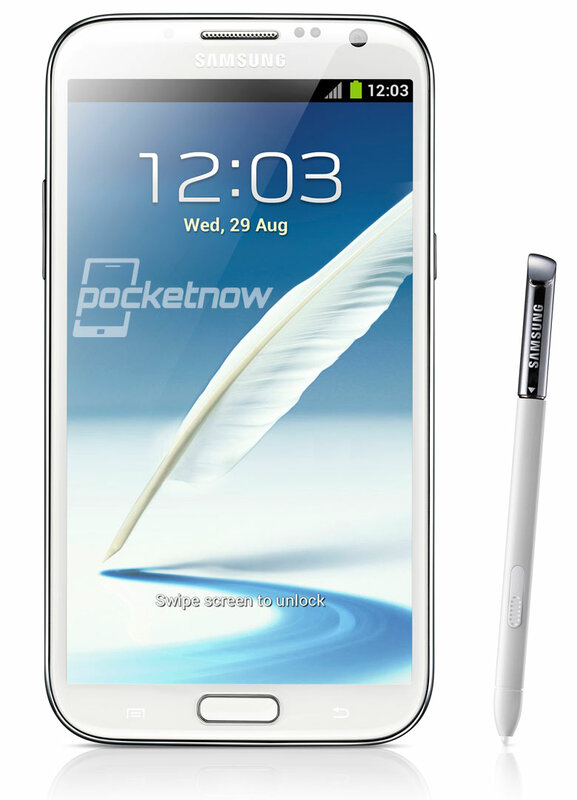 Samsung will announce the Galaxy Note 2 later today at IFA, but thanks to a leak, we now have official pics and specs for the device. According to PocketNow, the device will sport a 1.6GHz quad-core processor (likely an Exynos), 2GB RAM, 16-32-64GB internal storage options, an expandable microSD slot, 5.5″ HD Super AMOLED display (1280×720), 8MP rear camera, 1.9MP front camera, 3100mAh battery, and will run Jelly Bean (Android 4.1) out of the box. The device will ship to Europe in October with HSPA+ and LTE radios inside. It will be available in two colors: Marble White and Titanium Grey. Other new features to set this apart from the previous Note have to do with the S Pen. 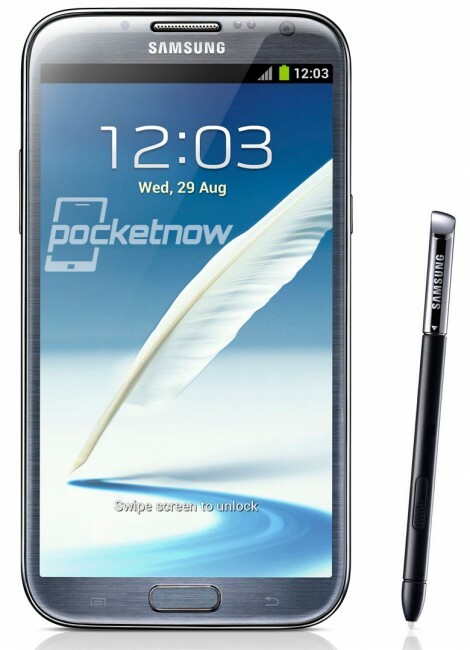 The new S Pen is going to be slightly thicker, longer, and has been designed to be more ergonomic. It will allow you to preview content without having to open it, by simply hovering over things like emails, images and videos. Lastly, the Note 2 will have a screen recorder application, so that you can show off demos of activities on the device. Sounds solid. Are you buying (assuming it comes to the U.S. at some point)?